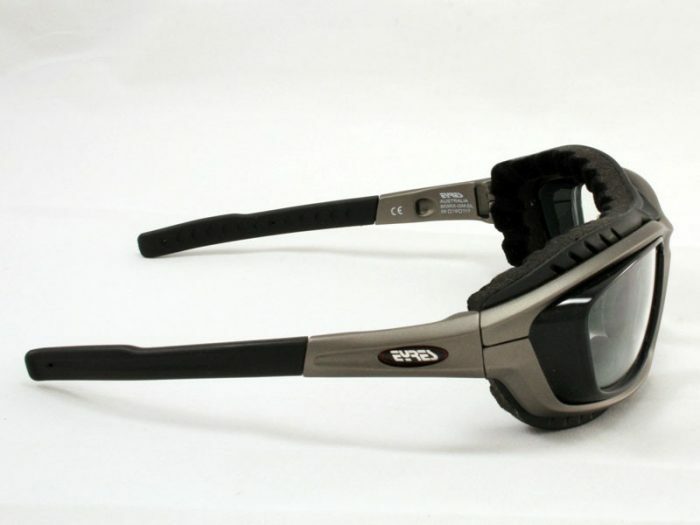 The Eyres 803 Transformer frame is a very flexible and cool wrap around pair of safety glasses. 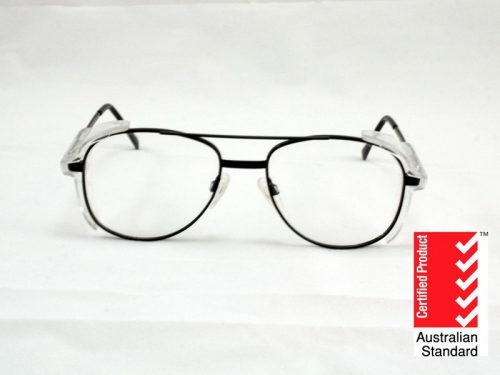 There are gaskets and straps available for this frame, to convert the frame into safety goggles (available in accessories). 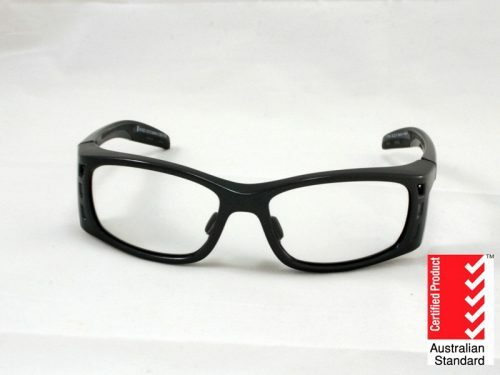 It also has a moldable anti-slip arm to keep these very cool safety glasses on your face. 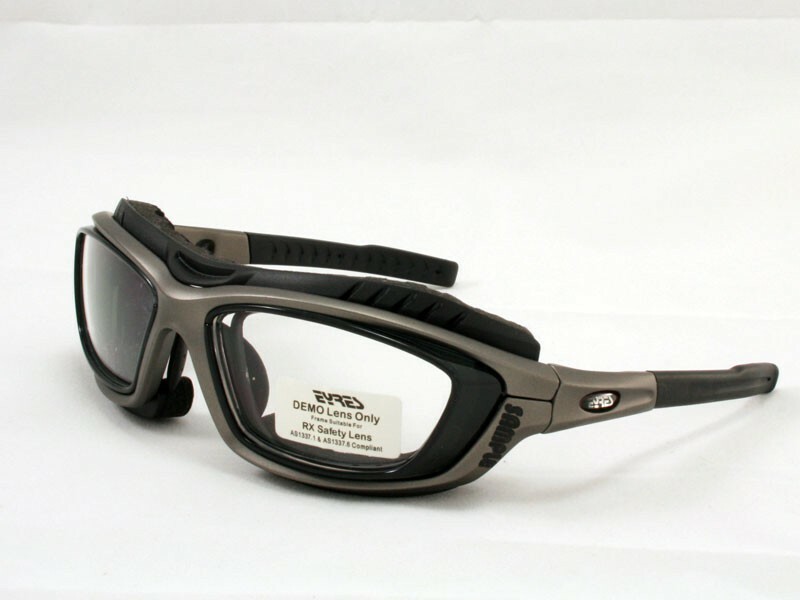 These safety glasses are so handy and look great! 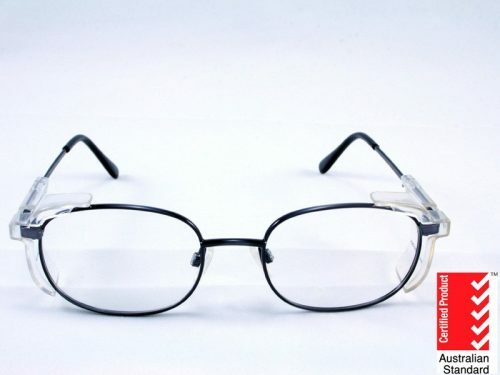 The Eyres 803 Transformer frame is a very flexible and trendy wrap around pair of safety glasses. Please note the foam pictured isn’t part of the standard order. You need to order it as an extra, from accessories. But with the strap (also available in accessories) and gasket the transformer can be positively sealed, non-conductive safety glasses prescription. 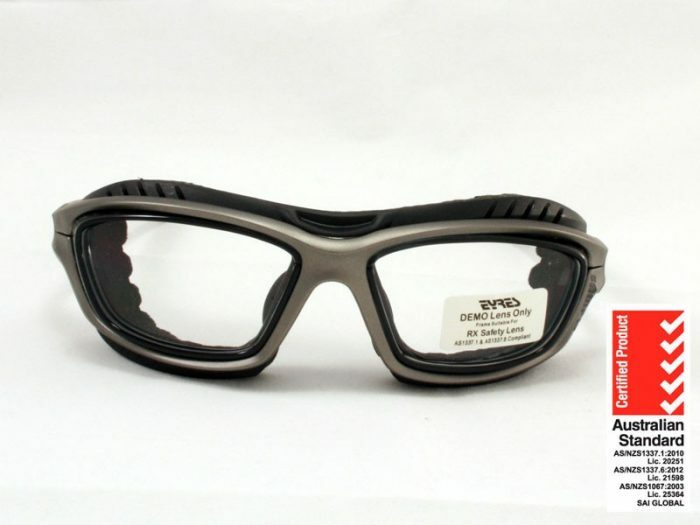 This safety protective frame, comes with changeable lens inserts. 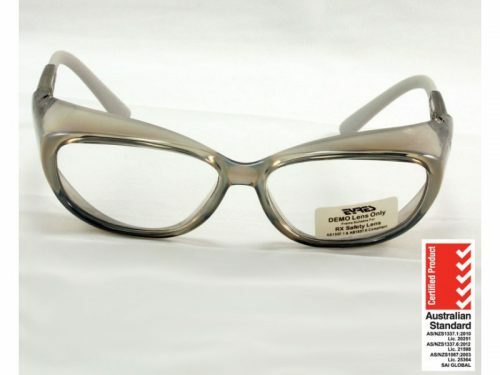 It also has a mouldable anti-slip arm to help keep them on your face. The Transformer 803 frame has so many applications from a non-conductive safety frame in a dusty environment, to heavy industry and sporting applications. It even comes in a couple of colours. What more could you ask for? The Transformer could take you from the mine site, to motor cross and everything in between. The case that the Transformer frame comes with can be clipped on to your bag or it has belt straps; if you would prefer to wear it. The listed price includes the frame, certification and shipping.